Stearyl alcohol is a natural fatty alcohol that is used as an emollient, emulsifier, and thickener in a variety of cosmetics and personal care products. Stearyl alcohol, also referred to as octadecyl alcohol or 1-octadecanol, is an organic compound that is classified as a fatty alcohol. It is derived from stearic acid, a natural saturated fatty acid, by the process of catalytic hydrogenation. Stearyl alcohol takes the form of white granules or flakes, which are insoluble in water. Stearyl alcohol is most commonly used in beauty products such as creams, ointments, shampoos, and hair conditioners. Stearyl heptanoate, the ester of stearyl alcohol and heptanoic acid, is found in most cosmetic eyeliners. Stearyl alcohol has many functions in cosmetics and skin care products, including use as an emollient, emulsifier, and thickener. As an emollient, topically applied stearyl alcohol has the ability to soften and soothe the skin. The fatty acids that make up this ingredient create a barrier on the skin that effectively seals moisture in while keeping air and other environmental elements out. 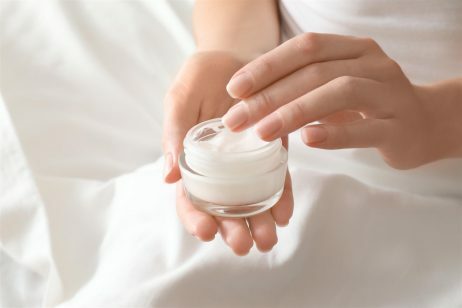 Therefore, stearyl alcohol can be used in creams, lotions, and ointments that are designed to improve dry, flaky skin. The emollient properties of stearyl alcohol also help to smooth and detangle hair, which is why this ingredient is used in various hair care products. Another function of stearyl alcohol is as an emulsifier. An emulsifier is needed for products that contain both water and oil components. According to EFEMA, when water and oil are mixed together and vigorously shaken, a dispersion of oil droplets in water – and vice versa – is formed. When shaking stops, however, the two phases start to separate. To address this problem, an emulsifier like stearyl alcohol can be added to the system. This helps the droplets remain dispersed and produces a stable emulsion. As an emulsifier, stearyl alcohol consists of a water-loving hydrophilic head and an oil-loving hydrophobic tail. The hydrophilic head is directed to the aqueous phase and the hydrophobic tail to the oil phase. Stearyl alcohol reduces the surface tension by positioning itself at the oil/water or air/water interface, which has a stabilizing effect on the emulsion. Lastly, stearyl alcohol functions as a thickener in cosmetics and personal care products. Thickeners and gelling agents in the mixtures of organic solvents and water solutions are widely applied throughout the cosmetic industry due to their ability to provide the products with the desired utility features i.e. consistency, viscosity or adhesion. The term viscosity corresponds to the concept of “thickness”, for example, honey has a higher viscosity than water. Thus, stearyl alcohol can be can be used to thicken formulas, adding body and viscosity. The Food and Drug Administration (FDA) reviewed the safety of stearyl alcohol and approved its use as a multipurpose additive for direct addition to food. 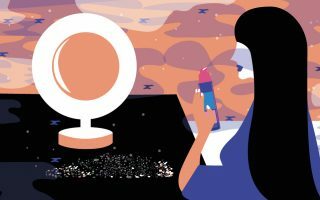 The safety of stearyl alcohol has been assessed by the Cosmetic Ingredient Review (CIR) Expert Panel.The Cosmetic Ingredient Review (CIR) Expert Panel evaluated the scientific data on stearyl alcohol and concluded that this ingredient is non-sensitizing, non-toxic, and safe to use in cosmetic products. Due to the chemical nature and benign biological activity of stearyl alcohol, this ingredient is not suspected of significant potential for carcinogenesis, reproductive or developmental effects. Tests in humans of products containing stearyl alcohol demonstrated low potential for skin irritation or sensitization. According to EWG, stearyl alcohol is rated as a 1 on a scale of 1 to 10, with 1 being the lowest risk to health and 10 being the highest. Due to its name, stearyl alcohol is often misunderstood to be harmful to the skin since it is an alcohol. It is true that some alcohols, like ethyl or rubbing alcohol, can be extremely drying to the skin. However, quite the opposite is true for stearyl alcohol, which is well known to effectively condition and soften the skin and hair. References: Wikipedia, “Stearyl Alcohol”, Cosmetics Info, “Stearyl Alcohol”, Truth In Aging, “Stearyl Alcohol”, EFEMA, “What is an emulsifier?”, CHEMIK 2013, 67, 3, 242-249, EWG’s Skin Deep Cosmetic Database, “Stearyl Alcohol”.